You know that you need Buick key replacement but you do not know where to begin. You can always contact a dealer but expect that the prices are going to be extremely high. It may come to a point when you would not be able to use your vehicle anymore because the price is too high. You have already spent a lot of money improving and maintaining your car. Losing your car key will surely be a problem. Whether you have Regal, Allure, Lucerne, Verano or LaCrosse, expect that we will be able to replace the lost Buick key at the soonest possible time. You should first check if you have a spare key. This is not possible if you need Buick key FOB replacement. This will require more effort. You really need our help so that we can provide the Buick key that you are searching for. If you have an old Buick model, you may still have a spare key that you can use. 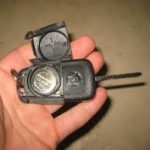 You can also contact us for your lost Buick key if you have an old Buick model and it still requires the old car keys that people used before. What if you do not have a spare key? You do not have to panic. You can contact us immediately and we will do our best to provide the services that you require. Kindly provide for us the year and the model of your vehicle so our team of professional locksmiths will know the right items to bring when they get to your location. You can also ask us if you need Buick key FOB replacement. This requires more items and more time compared to the Buick key that you may need. The time needed for each key to be available will differ depending on the model and the year of your vehicle. A lost Buick key for a 2015 model will need to be reprogrammed. A 1999 Buick car model will not need programming anymore. You are concerned about the price of Buick key replacement. As much as possible, you want to spend within your budget. If you go to the dealer for a replacement, expect that you are going to use a lot of money. It may also take time to contact the dealer and get the exact key that you need. We aim to provide affordable prices that will keep you satisfied with the keys that you need. 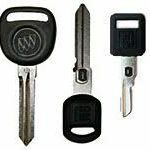 You can contact us for your replacement of Buick key at the soonest possible time. Does the Key Need to be Programmed? This is always one of the concerns of people who lose their car keys. They always wonder if their Buick key FOB replacement needs programming or not. It will depend on the type of car key that you have and the model and year of your Buick. Older Buick models do not need programming while the others will need it. Take note that most Buick key models that are created after the year 2000 will require a chip in order to open vehicles. This means that it is very likely that you need to reprogram the car key before it can be used. With our services and our knowledge, key programming will not take a lot of time. You can call us to ask if your Buick key needs to be reprogrammed if you need Buick key replacement at the soonest possible time. 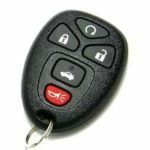 An FOB car key needs to be reprogrammed so if you need Buick key FOB replacement, expect that programming is going to be a part of the list. Another Buick key that needs programming is the transponder chip key. It obviously has a chip which means that it needs to be programmed so you can use it to use your vehicle again. Give us a call if you need more information about Buick key. A non-transponder key can usually be replaced easier. Ask us about it and we will provide the details you are searching for. If your problem is not your lock but your ignition then you do not have to worry. We do not just offer replacement of Buick keys, we also offer ignition change. We specialize in replacing your lost Buick key but this does not mean that we will not offer other services that you may need. Just state your problem and we may offer some solutions that will resolve the issues at the soonest possible time. Take note that a lot of people who need Buick key FOB replacement does not necessarily have to undergo ignition change. We can assess the type of work that you need first before we can start working. Our professional locksmiths aim to help you understand the services that we can provide and how these offers can truly help you out. Allow us to help you not only with ignition change issues but also with Buick keys. There are a lot of locksmiths to choose from but we can assure you that we are the best. We have all of the necessary equipment needed in order to provide the replacement for Buick keys that you need for your Buick car model. Who says that a lost Buick key cannot be replaced anymore? We have all the tools and we are proud of our skilled workers. We are confident that we can help you with your needs.